Another managerial casualty of the Roman Abramovich era was confirmed Saturday afternoon as Andre Villas-Boas was sacked hours after his side’s 1-0 defeat to mid table side West Brom. Abramovich spent nearly 14 million pounds to bring in the Portuguese manager from FC Porto. Attempting to bring in a new era, Abramovich brought in Villas- Boas to resurrect the Blues to their title challenging years of years’ past. After bringing in Juan Mata from Valencia and Oriol Romeu from Barcelona, it did, indeed, look like Boas was starting to usher in a new guard. He slowly began to ostracize Frank Lampard by leaving him on the bench for newcomers Romeu and Raul Meireles. Meanwhile, John Terry was being pressured for time by David Luiz and January transfer Gary Cahill. Everyone from the title winning side of 2008 pushed out to make way for a new manager, and now, he’s gone. So, what next? For now, Chelsea has appointed their caretaker manager Roberto Di Matteo as acting manager for the rest of the year. Although Di Matteo has managed before in the Premier League, he is not among the likely replacements for the job, as Abramovich would favor a larger name like Guus Huddink or Rafael Benitez. With a new manager, comes a new player especially with Chelsea and their big spending owner. Villas-Boas did have a positive transfer market last summer when he brought in Meireles, Mata, and Romeu, but a new coach will most likely want to bring in more players to complete Boas’s project of a youth revolution. Look for the Blues to cash in on Terry, Lampard, Drogba, and possibly Torres (yes the 80 million dollar man), and bring in young stars such as Eden Hazard or Angel Di María while also moving their own young starlet Daniel Sturridge to striker if Torres moves on. Moving forward, Abramovich will most likely do what he’s done for his whole time at Chelsea, which is hire a manager and then when success stops coming, immediately fire them. There must be an alternative solution, but Roman isn’t a man with patience…and it’s a pity. This entry was posted in Home, National, Soccer, Uncategorized and tagged Andre Villa-Boas, Chelsea, Roberto Di Matteo, Roman Abramovich. It’s open season in the Premiership as now that fox hunting is banned in the land of my birth _____ now we have the pleasure of seeing the mangers being hunted like “wild game ” . For a guy who’s worth in excess of $15 billion Abramovich has an ego that even Trump would admire . 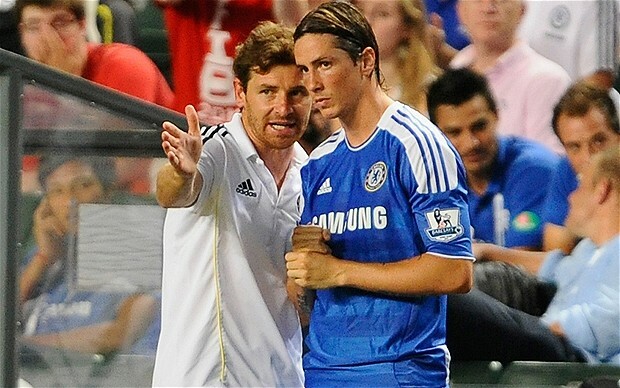 I’m surprised that Villas-Boas even lasted this long !